There’s no easy answer to this question, though the entity choice considerations have undergone some changes due to the new tax law. For tax years beginning in 2018 and beyond, the Tax Cuts and Jobs Act (TCJA) created a flat 21% federal income tax rate for C corporations. Under prior law, C corporations were taxed at rates as high as 35%. The TCJA also reduced individual income tax rates, which apply to sole proprietorships and pass-through entities, including partnerships, S corporations, and, typically, limited liability companies (LLCs). The top rate, however, dropped only slightly, from 39.6% to 37%. Under prior tax law, conventional wisdom was that most small businesses should be set up as sole proprietorships or pass-through entities to avoid the double taxation of C corporations: A C corporation pays entity-level income tax and then shareholders pay tax on dividends—and on capital gains when they sell the stock. For pass-through entities, there’s no federal income tax at the entity level. Business retains all profits to finance growth. 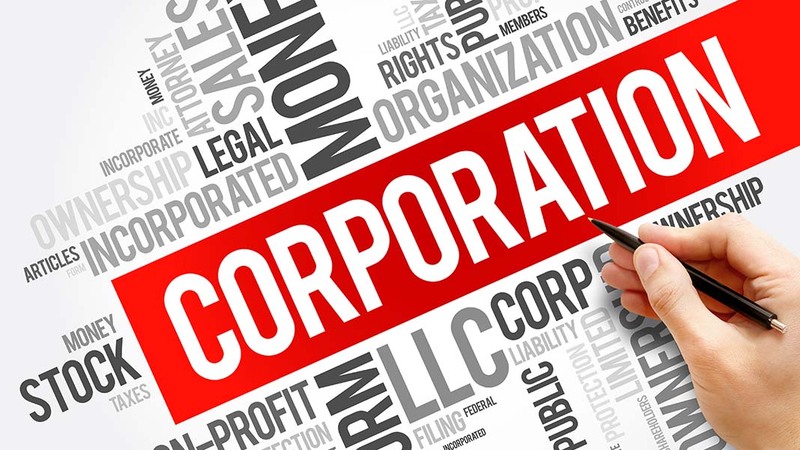 For a business that’s profitable but holds on to its profits to fund future growth strategies, operating as a C corporation generally will be advantageous if the corporation is a qualified small business (QSB). Why? A 100% gain exclusion may be available for QSB stock sale gains. If QSB status is unavailable, operating as a C corporation is still probably preferred—unless significant QBI deductions would be available at the owner level. These are only some of the issues to consider when making the C corporation vs. pass-through entity choice.